Our vision was to create a unique and special place where couples could escape to for some quality time together. To chill out, relax, and unwind for a few nights or more! 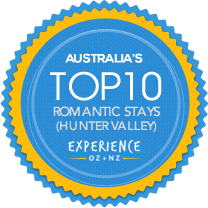 Recently voted in the top 3 most romantic places to stay in the Hunter Valley Lilies Luxury Retreats offer a truly unique and romantic escape for couples from every-day big city life. No matter if it is to celebrate a special occasion or even or if the special occasion is to simply escape then Lilies Luxury Retreats is the perfect place!  Our stunning, modern, very stylish and sophisticated luxury retreats offer private, exclusive and very romantic self contained accommodation for couples with breathtaking vineyard, lake, mountain and rural views on a peaceful parklike 25 acres in Lovedale, the heart of the Hunter Valley. 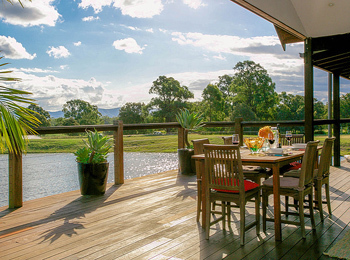 Surrounded by some of the best restaurants, boutique vineyards and many other attractions of the world renowned Hunter Valley, Pokolbin, Mt View and Rothbury wine producing areas, just two hours from Sydney’s CBD and 45 minutes from Newcastle and the Williamtown airport makes Lovedale the perfect escape destination with no passport required! For tariffs and bookings, click the ‘BOOK NOW’ button. 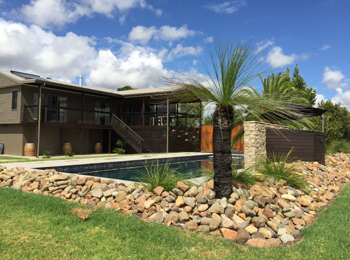 “Your retreat is absolutely beautiful and we appreciate how you have thought of every single detail”. My sisters were over from the UK for just a few days and I am so happy we chose Lilies to give them a great experience of the Hunter region. From the thoughtful touches everywhere in the cottage to the very generous food hamper and fresh produce in the fridge, the awesome beds, amazing bathrooms, peaceful setting and even the neighboring winery and smokehouse which is well worth a visit. 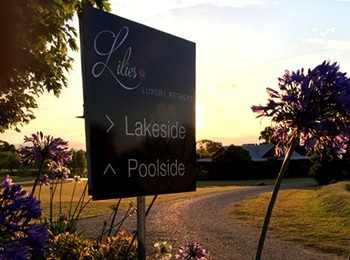 We would recommend staying at Lilies and hope to come back soon. Well done Barbara – your hospitality is a triumph. Fabulous 3 days at Lilies. We have never stayed in such a well equipped cottage that caters equally for two couples. Barbara has thought of everything and there are lots of special touches. The weather was perfect and we were lucky enough to be able to relax on the deck and enjoy the sunsets. If you need a place to get away, Lilies is perfect and we will definitely be back. Lilies is absolutely perfect. All that you want for a quick luxury escape and more. The word that springs to mind is indulgence. Wish we could stay forever. What an amazing few days at Lilies. This is our second visit but first at ‘Poolside’. We have spent our days touring the vineyards and lazing by the pool. It has been so relaxing. We have not wished for anything. Barbara your attention to detail and hospitality is unbelievable. The super-comfortable beds, luxury bathroom and the wonderful provisions. We are leaving completely refreshed and wonderfully happy! Thank you for an ideal place to relax and recharge. We so love Lilies! In the words of Arnold Schwarzenegger, “I’ll be back”.